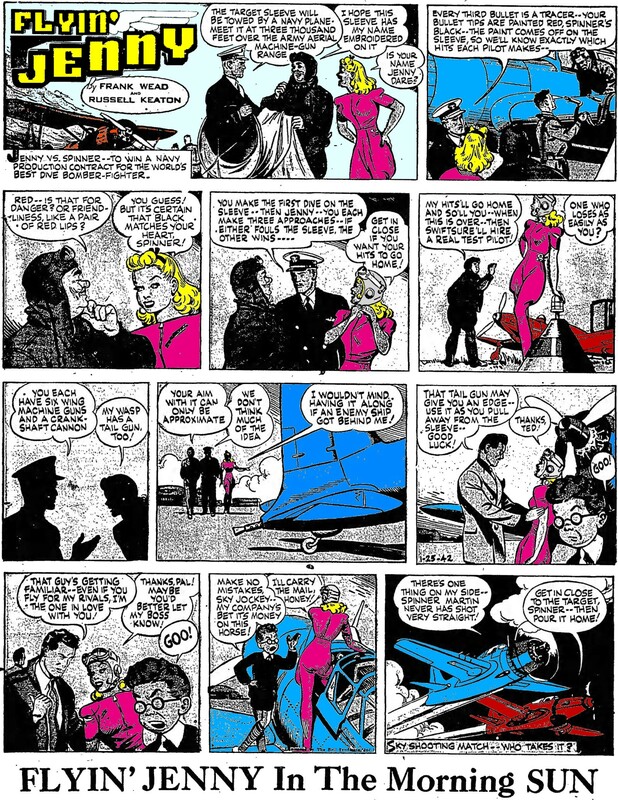 This is the January 25, 1942, "Flyin' Jenny" comic strip. The Baltimore Sun newspaper, published not far from where I grew up near Annapolis, Maryland, carried "Flyin' Jenny" from the late 1930s until the strip ended in the mid 1940s, so I saved a couple dozen from there. The first one I downloaded has a publication date of December 7, 1941 - that date "which will live in infamy," per President Roosevelt. Many Americans were receiving word over the radio of the Japanese attack on Pearl Harbor while reading this comic at the breakfast table. I expect that soon there will be World War II themes.